Slots is a game that is loved and hated by players in equal measures, it is a simple game where the player takes a chance to strike a jackpot by spinning a wheel. 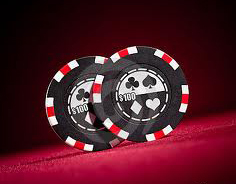 The game surpassed table games to be the most popular casino game back in the 80s, along with video poker, and now account for over 70 percent of a typical casino take. The reason is that slots has big jackpots and with computerized virtual reels they have today, hitting the top jackpot is very difficult as the bigger it gets the lesser the chances of players actually hitting it. Fact: There are two types of casino slots – flat top and progressive. A flat top casino machine offers a fixed jackpot and a player has the same chance in every play to strike the jackpot. The progressive slots on the other hand accumulate the total jackpot by adding a portion of the player’s bet to the jackpot. Fact: Casinos do not often disclose the odds a player has on an individual machine, so players often gamble blindly. The odds are usually bad – even worse than those of some table games like Baccarat, Blackjack and Craps. Since they are played fast, slots are such money drainers and players who don’t have a plan can be milked dry. Only in case you’re 100% sure you know well how your ods . Fallacy: The more times you try, the higher your chances of winning. This is a phrase line that is both logically and mathematically incorrect. In flat top slots machines, your chances of winning a play are the same as the previous. In progressive machines, the more you play, the less your chances actually. Fact: Progressive machines are linked together meaning that they have one jackpot and every bet in every machine contributes to the grand jackpot. The more people play on these machines, the higher the jackpot goes; if no one plays then the jackpot will stay constant. Fallacy: The most rewarding slot machines are those that have the highest jackpots. This is not true, as a matter of fact, the higher the jackpot, the less the odds the player has of winning. To win in the short-term, a player should play on machines with the smallest jackpots. Fact: Playing the lowest denominating machine increases the chances of winning. When you walk to the casino, if you want to have high chances of winning choose a slots machine with the lowest jackpot and accepts the lowest denominations as they have the highest odds.